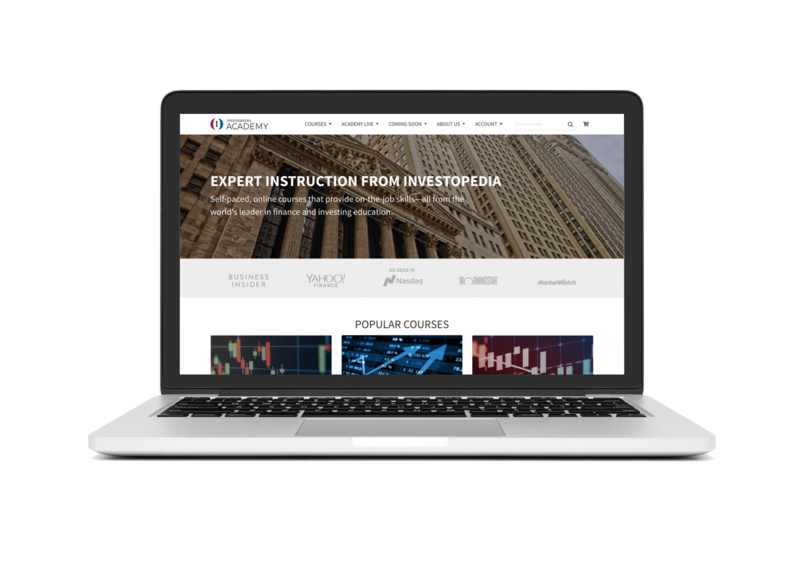 It was only natural that trusted financial education resource Investopedia would move into the e-learning space with Investopedia Academy. 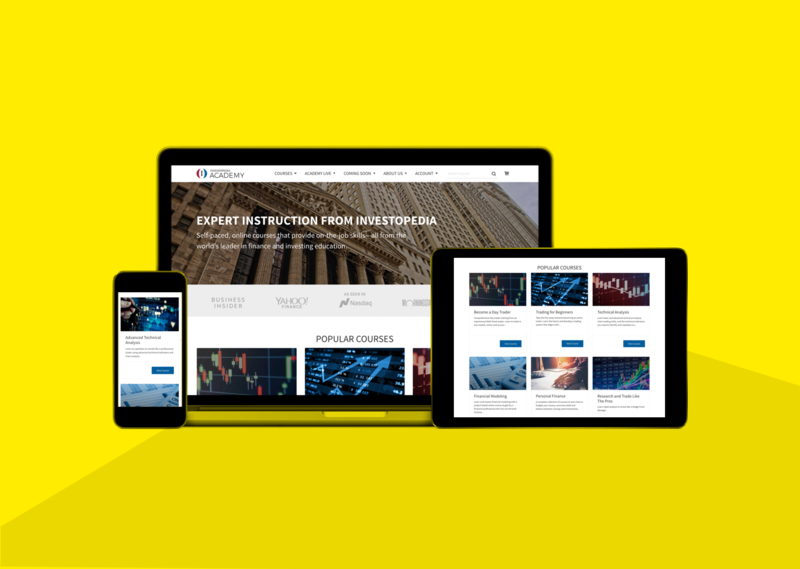 Customers would be able to preview courses, learn about instructors, review a course curriculum, purchase, and then take Investopedia-produced premium courses through the e-commerce platform. Collaborating with the General Manager, Education Designers, Product Manager, and dev team, we had to design a course-delivery experience that would help visitors discover, choose, and take courses. 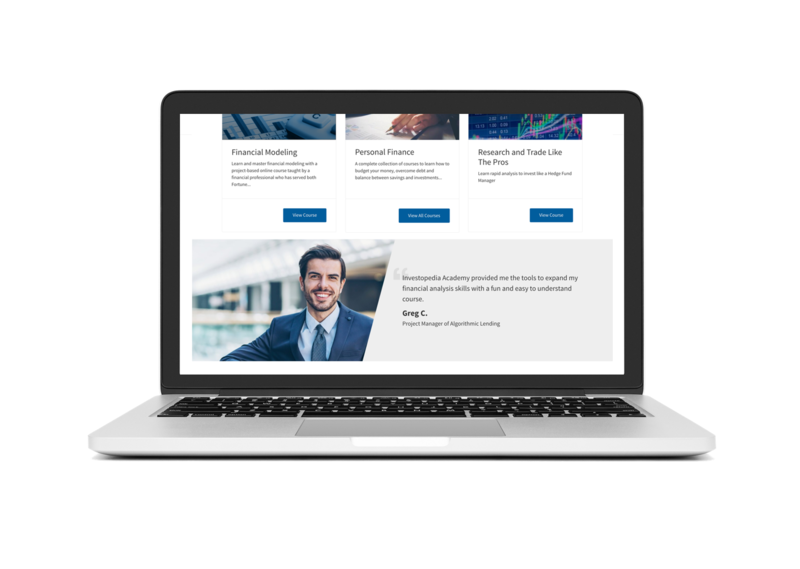 We decided on a simple e-commerce model as a storefront with an easy pathway to our Learning Management course platform. 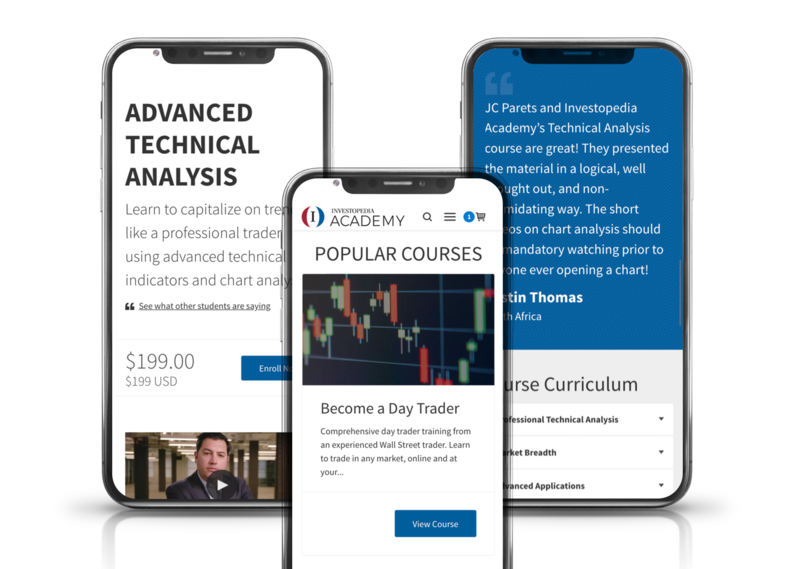 Leveraging research of similar e-learning platforms as well as extensive user interviews, we designed an experience that would allow visitors to discover courses by subject matter (finance, trading, business, etc) and deep-dive into what to expect from each course. Early on, we realized the importance of being transparent about instructors, curricula, and class format. Academy leverages multiple third-party SaaS platforms to handle shopping, billing, subscriptions, video classes, and course management. 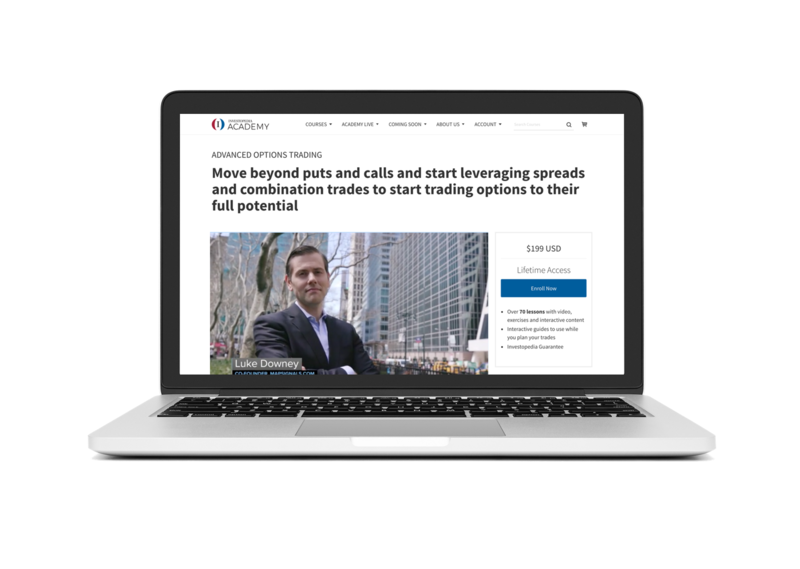 In addition, each user account would be associated with a set of credentials for each service (including separate sign-ins for Academy and the main Investopedia site). This meant there was a lot of complexity to consider when building out the user experience, so collaborating closely with the development team was crucial. I helped map out the user journeys alongside the account management system diagrams in order to keep everyone on the product team was working from the same understanding. The design for the storefront had to be simple, clear, and allow the content to shine. Working closely with the front-end developer and UI designer, we devised a clean design system with minimal, but useful interactive elements to enhance the readability of the content. Leveraging extensive, iterative user testing, we arrived at a design that funnelled users from curiosity to confident purchase.